Law is a great discipline for the mind. It teaches you how to think clearly, precisely and accurately. Every word has its definite meaning, and must find its proper place in its own context. Verbosity and diffuseness are foreign to a well – trained legal mind. Such a mind is essentially logical, and has the courage to face the results of its own mental processes, and not to hide them under a cloud of rhetoric and declamation. There are many people who confess that they cannot understand how advocates function consists for the most part in showing white as black and black as white. The only answer that one can give to this popular misconception is the famous answer that Johnson gave to boswell, when he was asked what he thought of an advocate supporting a cause which he knew to be bad. Johnson’s answer was that the advocate did not know it to be good or bad till the judge determined it for him and for others. Therefore, the duty of the advocate is to do his best for his client. He is after all the client’s mouthpiece, and he must put before the court all aspects of the case which are favourable to his client. But he must do fairly, without misleading the court, and without concealing from it anything that it is his duty to divulge. But he is not concerned with the final result. That rests with the judge, and it is ultimately for the judge to decide which side is right, and how justice should prevail. The judicial process, as we understand it, would be impossible unless the truth were elicited by two opposing sides putting before the court different facets of the truth. There is nothing more difficult in the world than to discover the truth, because truth is not something simple, something which is apparent, something which can be discovered by merely looking at one side of it. It has so many facets, so many contradictions and inconsistencies, that it requires two trained minds to put all aspects of it before the court, and a third expert mind to come to a conclusion—a conclusion which is the nearest one can reach in the discovery of the ultimate truth, and thus administer justice according to law. Lord Macmillan once said that the best advocacy was to help the judge to write his judgment. This does not mean that the advocate must submit to every suggestion that falls from the bench. He should be fearless, and refuse to accept any proposition which seems to him to be fallacious or erroneous that may emanate from the judicial authority presiding over the court, however eminent such an authority may be. Great advocacy must be both fearless and fair. The administration of justice is made possible not only by a fair and impartial judge, but also by a courageous and upright advocate. Administration of justice is a cooperative effort, an effort in which both the judge and lawyer act in concert with one another. There is growing tendency to hustle advocates, and in the name of despatch, decide cases without giving a fair hearing to the lawyer. A good judge can let an advocate have his full say, control his advocacy, understand and appreciate his point, and yet not permit time to be wasted by irrelevance. The duty of an advocate is not to convert the judge to his point of view, his duty is to see that the judge has understood and appreciated his side of the case and his arguments. The most important single quality, therefore, that the lawyer should develop is intellectual integrity. Law and liberty have always gone hand in hand, and no one has contributed to liberty more than law and lawyers. Lawyers must also remember that they can play a big role in the creation of public opinion. No one assure success at the bar to any young man who is entering the advocate’s profession. There is no other profession which demands such patience and preservance because, as Lord Hewart once said, life at the bar is never a bed of roses. It is either all bed and no roses, or all roses and no bed. The most difficult time in an advocate’s life is when it is all bed and no roses. It is when he is passing through such a situation that he must maintain a stout heart; it is than that he must work and slave in a spirit of single-mindedness. It is also the time to learn all that there is to learn about the art of advocacy. Success would come to every man who has faith in himself. He must enter the profession with the zeal of a crusader. For years there may be no work, he may even be faced with prospects of starvation. He may come to feel that his talents are not being used. He may see undeserving men flourish in the profession. But opportunity comes to everyone, and when the opportunity comes no young man should be found wanting. It is then that he must put into practice all that he has learnt in the long years of waiting, and there is no success like the success in the profession of law. Whereas a successful doctor or a successful engineer can only do his own specialised work, there are few subjects and matters that a successful lawyer cannot tackle. The key to success is the art of distinguishing the relevant from the irrelevant; it is a key that can open any door. And when the lawyer get on, he must not forget the basic quality of fairness upon which all dispensation of justice must ultimately depend. He must not forget that he is not only fighting the battles of his client, but is also assisting in administration of justice. He is bound to fight for his client with all force and vigour of which he is capable. An advocate should enter into the fray with zest and confidence. It was sad of one famous English lawyer, Lord Carson, that he made the judge feel that every client he appeared for was a gentlemen, and every cause he defended was the just of causes. According to Mahatma Gandhi, a true lawyer is one who put truth and service in the first place. 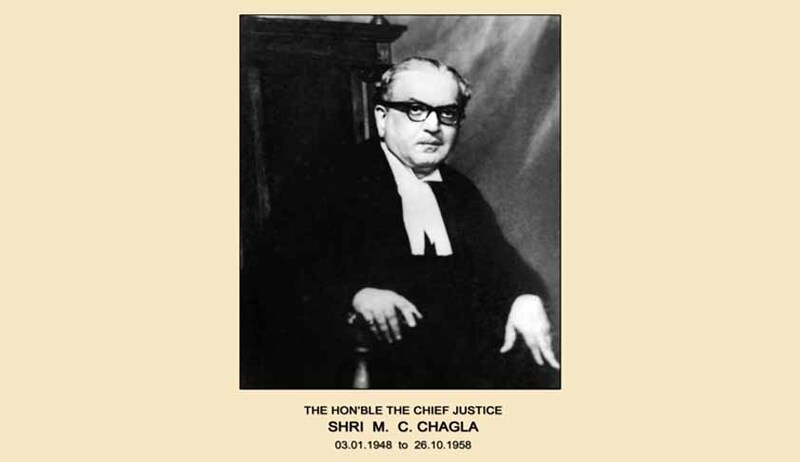 In his autobiography the Mahatma observes that the law is not an “intellectual legerdemain to make black appear white and white appear black”, but is a ceaseless endeavour “ to enthrone justice”. These words well represent the ideal of excellence in law. The lawyer has to be well versed in other subjects if he desires to aim at excellence. A lawyer with a well furnished mind alone can be truly a counsellor at law; he alone can, not merely look up precedents, but guide his client along the path of wisdom, even of generosities which may appear irrelevancies to the preoccupied client. In the hands of such a lawyer, the law represents the application of reason to noble and purposeful ends. Kush Kalra is an Advocate practising in the Delhi High Court.